Thick, high sudsing concentrate (64:1) formulated to remove dirt and grime from vehicles. Cleans like a car shampoo and protects like a wax. Will not harm previous wax or sealant application. 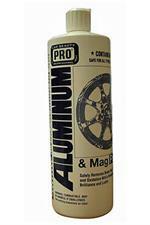 Removes oxidation,accumulated brake dust and corrosion while restoring the original luster of aluminum & magesium wheels. Versatile bug and tar remover. Removes bug residue and road grime. Dries quickly. A unique metal polish that cleans, polishes and protects all types of metal surfaces.Wipe on wipe off formula. Works great on chrome, stainless, aluminum, brass, copper, gold, silver and magniesium. Tony's Special Cleaner - Gal. A heavy duty non caustic cleaner for interiors, degreasing, road film and all purpose cleaner. Biodegradable and pleasant odor. 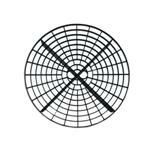 Great for interiors and exteriors. Tony's Special Cleaner - 5 gal. Clearly Better Concentrated Glass Cleaner - 5 gal. Best liquid Glass Cleaner on the market. Concentrated. 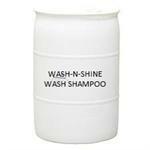 Wash - N- Shine Car Wash Soap - 55 Gal. 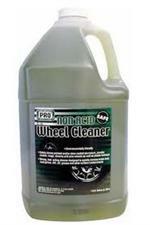 Non - Acid Wheel Cleaner - Gal. Quickly and easily removes brake dust,dirt,oil,grease, and other contaminates.Ready to use non acid/non caustic formula. Cleans aluminum wheels, wire wheels as wellas tires. CHEATER WAX is a concentrated drying aide for both detailers and all types of car washes. CHEATER WAX gets rid of the water quick making for less drying time. Our CHEATER WAX leaves a wax like shine to vehicles surfaces. High Alkaline Formula. 1 Gal. 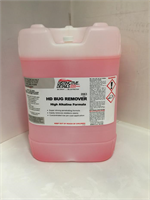 HD Bug Remover 5 Gal. High Alkaline Formula. 5 Gal. 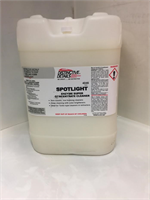 Spotlight Enzyme Cleaner 5 Gal. Highly refined blend of solvents. Slow driving, deep penetrating action. For exterior and interior use!